Compressed Natural Gas (CNG) and Liquefied Petroleum Gas (LPG) are the two inexpensive secondary fuels that are used by domestic car owners, for improving their average running costs. The use of CNG and LPG fuels also help in improving the vehicle’s overall fuel efficiency figures. At present, several top auto makers, such as Maruti Suzuki, Honda, Chevrolet and Hyundai offer their popular models with factory fitted CNG or LPG kits, owing to their rising demand witnessed among Indian consumers. The most popular models that are offered with factory fitted LPG kits are Chevrolet Spark, Chevrolet Beat, Hyundai Eon, Santro Xing and Hyundai i10. These models are offered as dual fuel petrol-LPG models and are experiencing great demand among the domestic car buyers. The Chevy Spark LPG model is available at a price tag around Rs. 4.2 lakh, whereas the Beat can be purchased at Rs. 5 lakh. Hyundai Eon LPG variants start from Rs. 3.3 lakh, whereas the LPG versions of the i10 hatchback are offered to Indian audience from Rs. 4.5 lakh onwards. Popular CNG and LPG cars available in India. The best selling cars with CNG option offered in the Indian auto market are Maruti Suzuki Alto 800, Zen Estilo, WagonR, SX4 and Honda City, amongst others. 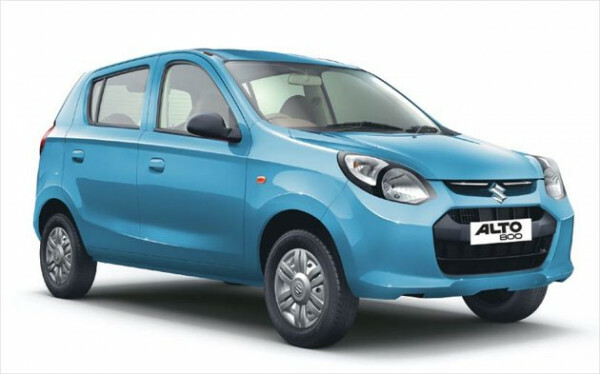 The petrol-CNG versions of Alto 800 comes in a price band of Rs. 3.2 to 3.6 lakh, whereas those of WagonR and Zen Estilo carry retail values of Rs. 4.4 lakh and Rs. 4.3 lakh, respectively. The CNG version of Maruti Suzuki’s SX4 mid-size sedan is offered at Rs. 7.8 lakh, while it’s Japanese counterpart- Honda City CNG comes with a price tag around Rs. 9.5 lakh in the Indian auto market. It must be noted that the pickup of dual fuel petrol-CNG or petrol-LPG vehicles is not as good as their single fuel petrol driven versions. However, these vehicles are still cheaper to use in the long run and offer some convincing money savings.